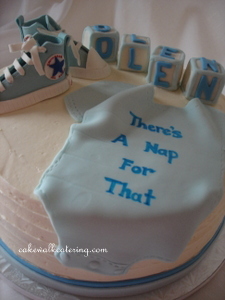 A sweet buttercream and chocolate cake for new arrival baby Olen. 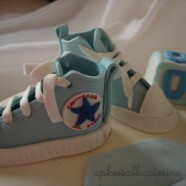 The cake was seven layers high and the detail on the shoes stole the show. And oh yea – there’s a Nap for that!